Feeling kind of hungry? If so, reading this interview isn’t going to help you hold out until lunchtime… Do you remember our review of a delicious puzzle game about pushing sushi around? Today we would like to share our interview with UNIT5 – the developers of Push Sushi! If you have yet to check out our review of Push Sushi, you can do so here! Before we start we’d like to thank the UNIT5 Team for participating in our interview and for answering all of our geeky questions! Thanks Guys! Thanks for taking the time to talk to us about Push Sushi! Could you kick-start this interview by telling us a little about your studio, yourself, and what drew you into the gaming industry? Thank you for your interest in our recent game Push Sushi. UNIT5 is a company founded by me and CTO Maeng, four years ago in Seoul, Korea. I was majoring in architecture and building educational software, not in the game industry, but since I was a kid, I wanted to develop games, and I was always developing games while doing other things. Eventually, I met Maeng who was also making games and other software. At the time, there was a small game, called Cubicar, which I was developing a prototype of, so we started a small company. At first, we were trying to develop a game on the side while doing other things, but Cubicar started to gain a lot of interest from other publishers, so we focused our attention on making a game. Ok, let’s start talking about Push Sushi… What are the highlights of your latest release? Push Sushi is a familiar slide puzzle game with an extra cute touch. The logic of the puzzle is familiar, but it is a cute puzzle with lots of different kinds of sushi to collect while playing the game. It is a game you can play with comfort and a smile. What was the core idea or inspiration behind Push Sushi? And perhaps more importantly, where do you find inspiration for your games in general? The inspiration for our games always comes from everyday life. It’s like this. People who admire watching cute images, a scene in a movie, or a scene in an advertisement, it seems that these things start with new logic or new artwork and draw a picture of the whole game. It starts with a line like the synopsis of a movie. Push Sushi started at a game exhibition in Busan, when I saw a friend from Australia who really loved a little egg sushi character figure in our other game Cubie Adventure. It was at that time that I thought a sushi with a smile could be a great character for everybody. It’s just a common slide puzzle, why not put the sushi on the plate? I made sushi as varied and cute as I could and Bang! Yes, it started like that. In fact, I usually think of a familiar car or a very cute cat, but I actually made artwork and animated it, so sushi was the best. Everybody loves sushi like cats, don’t they? How long was Push Sushi in development for? And are there any interesting and/or exciting moments or experiences you would like to share with us from that time? It took about three months to develop Push Sushi. Since the puzzle itself is familiar logic, I had a lot of worries about how to add elements that the user could play happily. In fact, at first I experimented with very familiar voxel 3D style cars, but I didn’t have much fun and so I tried making it with cats instead. Although the cats themselves can be made pretty, cat characters didn’t match this game. So, let’s try it with sushi! I thought it was so cute and I really liked the artwork. From then on it seemed like we made about 100 kinds of sushi in a very short amount of time and grabbed the artwork in an instant. What software, developer-tools, or black-magic(?) did you use when making Push Sushi? Is there anything you would like to share with the developers who read Edamame Reviews? Hahaha! If there is black magic, we would like to learn Kansu. We make games using tools that are familiar to everyone. Unity and Photoshop. Nothing really special. The logic that solved the hint was brought to us by Black Magic, which other developers made and shared, and we made the final revision. Thank you so much. The sea of the feathers is really wide and deep. When I was worried about artwork, I actually saw a lot of things that were used in a real sushi house. Like how depending on the color of the dish the price is different, or how the table is used in the list of triangular giblets or chopsticks. These elements taken from the interior of a real sushi house have been used in Push Sushi. What can we expect to see in Push Sushi or from UNIT5 in the not so distant future? What do we have to look forward to next? After our initial launch, we are continuing to develop and plan to update Push Sushi. Daily puzzles, as well as new sushi, are being prepared. We are also working hard to update level packs with themes that feature many cities around the world. Currently, it only has simple content to play, but there will be more and more places to enjoy in the not so distant future. 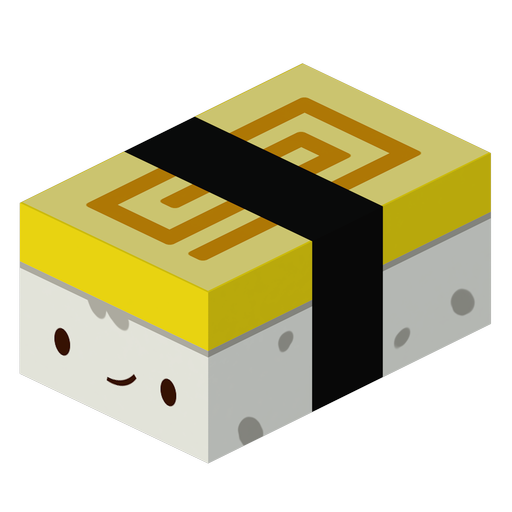 UNIT5 has been developing a short, familiar genre game – Push Sushi – since the launch of our last big title Cubie Adventure. Now, we are preparing a new title, the next version of Cubie Adventure and it will be ready to meet gamers late this year. It will be a very exciting arcade game to enjoy on mobile. Of course, we also have a number of cute arcade puzzles like Push Sushi! As a small studio, we are always thankful for those who are interested in our games and our studio. AAA titles of big studios are good, but please take more interest to the developers that breathe with users and are looking for new ideas like this. Though small in size, we promise to bring many new games with more fun and good times. Love our interview with UNIT5?